The market is flooded with all sorts of toys for baby boys and girls. Actually, there’re so many options that trying to pick one can make your head spin. 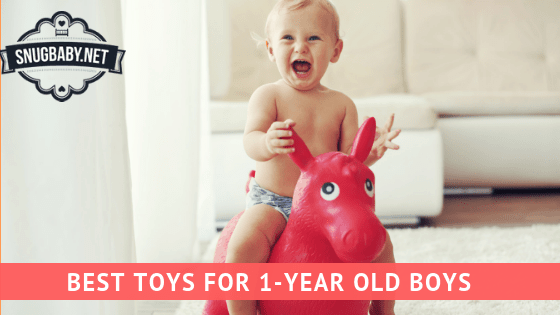 To make things easier, we’ve put together a list of the best toys for 1 Year Old Boys. These toys are guaranteed to keep baby boys entertained for hours! Needless to say, this is an extremely popular learning walker and for good reason too. Tens of thousands of kids have used it to learn to walk properly. The wheels work well on hard and carpeted surfaces. Anyway, The tricked-out walker comes with a removable play panel. It’s loaded with fun stuff and teaches animals, shapes, colors and numbers. There’s even a telephone! Baby boys really love interacting with the colorful spinning rollers, opening barn door, shape sorters, lighted shapes, gears and piano keys. It even makes animal sounds. To top it all, the Vtech Sit-to-Stand Learning Walker comes pre-loaded with more than 70 sing along songs (seriously, there’s that many kids’s songs? I know only 2-3) and cheerful sounds. It’s almost impossible to imagine a childhood without animal toys. It’s very probable that you, your parents and even their grandparents played with plastic toys when they were kids. There’s just something captivating about them. They make great companions and kids love caring for their little friends. This 9 piece set by Fisher-Price includes a lion, tiger, sea lion, penguin, zebra, kangaroo, alligator, monkey and a panda! The animals are the perfect size for 1 year old baby boys. Little kids tend to be quite mouthy (they put everything in their mouth) – these toy animals are not too small, they cannot be accidentally swallowed. Yet at the same time, they’re small enough for kids to be able to hold them and play with them. Actual size is around two to three inches. Fischer-Price also has a farm animal set, also containing 9 ‘domestic’ friends for your tiny tot! The 9 farm animals include a bunny, duck, rooster, horse, cow, pig, sheep, goat and even a llama (some say it’s a donkey, you decide). They’re sized just right for 1 year old boys. Many different brands’ toy animals are available in the market. But we like Fisher-Price the most for these as the toys are of a very good quality and softer than generic plastic toy animals. Boys’ love for trucks begins quite early. These dump-n-go trucks are great fun. Boys love to load and unload them – who wouldn’t? This particular model by Vtech has over 30 sounds. It teaches numbers, colors, imitative play and motor skills. The truck comes with 3 colorful rocks that are loaded onto the hinged bucket. Boys can then dump the rocks by using a lever. 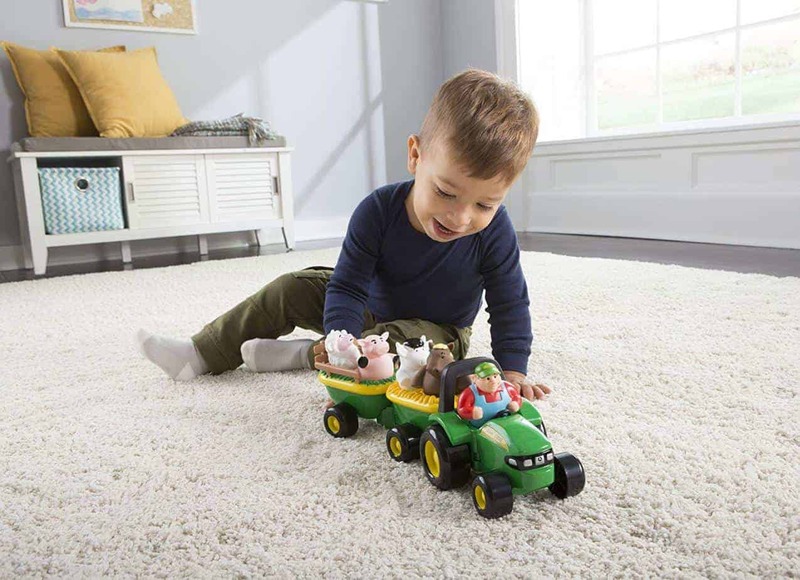 The push or pull-along truck also has three buttons that play melodies and teach colors and phrases. 2 AAA batteries are included within the package. Snugbaby highly recommends this toy truck for kids aged 6 months to 3 years. This award winning toy by Hape features a wooden ‘snail’ base and a removable ‘shell’. The shell doubles up as a shape sorter. It features three differently shaped cavities and the blocks spin within it as the child pulls the toy. The string is just the right length for a 1 year old and the tall moves up and down as the snail rolls. The flapping tail and the spinning shell add an interesting touch to a mundane pull-along toy. Parents also appreciate the high quality, non-toxic and 100% child-safe wooden construction. Boys really enjoy tagging their snail friend all over the house! This insanely popular toy is featured as Amazon’s choice for ‘toys for 1-year-old boys’. It’s well made, it teaches animals and sounds and when you press the driver, it plays the legendary ‘Old Mcdonald had a farm’ song! The animals play their respective sounds when pressed but kids have to match them with their place in the trailers. The tractor has two trailers connected behind it and so the toy looks very much like a train. This toy requires 3 AAA batteries and the manufacturer recommended age is 18 months and above. While this is slightly more than a year, your baby boy can grow into this toy! This enchanting little work bench packs quite a punch. It comes with a whole lot of sounds effects and flashing lights. This workbench develops hand-eye co-ordination and promotes thinking. While the age is listed as 18 months+, we have noticed that one year old kids quickly grow out of simple shape sorters. This toy will definitely make them curious and hold their interest for much longer. Get ready to have building projects spring up all over the house as your little engineer gets to work! This is not just your average soft toy. For starters, this puppy is ridiculously cute. It just drives away the gloom adds a touch of happiness to almost any setting. It’s made using extra soft, premium material and so it REALLY is extremely soft and cuddly. It makes a great sleeping companion and thanks to it’s unusual and clever shape, this 16 inch toy also works as a really comfy pillow. Most one year old boys already have a teddy bear, so a puppy comes a welcome and refreshing change. It just makes for a wonderful gift for kids and even adults of all ages. This hoop adjust to 6 heights between 2 to 4 feet so it’s a fantastic activity for growing kids. 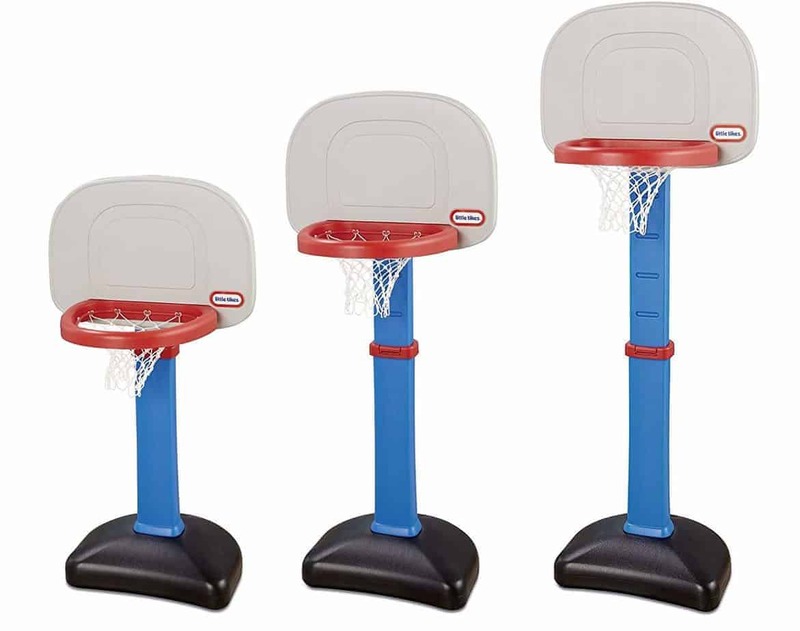 We think that this basketball set is a very cool, not-so-common gift! Manufacturer recommended age is 1.5 years and above. This no-pedal, 4 wheeled ‘bicycle’ walker helps kids to learn to balance and walk. It is recommended for babies aged between 6 to 24 months. This is one of those toys for one year old boys that has a ‘big’ sense of occasion. It’s great as a birthday present on a kid’s 1st birthday. It’s a strong toy with a carbon steel frame. Max load capacity is 100 pounds and the steering is limited to 135 degrees to prevent kids from falling over on the side. The toy is ASTM certified, CPSC approved and has a 30 day money back guarantee. 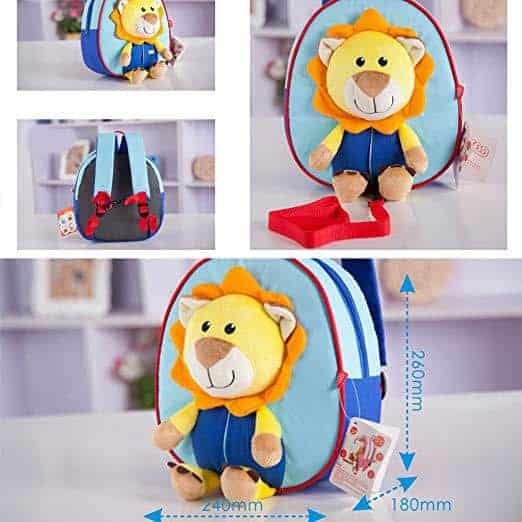 This is a cute, good looking, animal-themed backpack for little kids. Choose between a lion, elephant and a monkey. The backpack is light, soft and has adjustable shoulder straps. It’s meant for kids aged 1 and above. Most importantly, the back has a safety harness/leash that prevents kids from wandering off too far away from the parent. We hope that you liked these SNUGBABY toys for 1 year old boys. You may also want to check out our list of the best toys for 1 year old girls.